does it look like pine? What type of wood are you looking for? Light/dark/hard/soft etc? What minimum size would the blank have to be for you to make the grips? To answer your question about the osage orange wood looking like pine...it kind of does in that most of it is plain looking. The difference is that it is a lot harder wood than pine, and will last forever once you get the grips made. 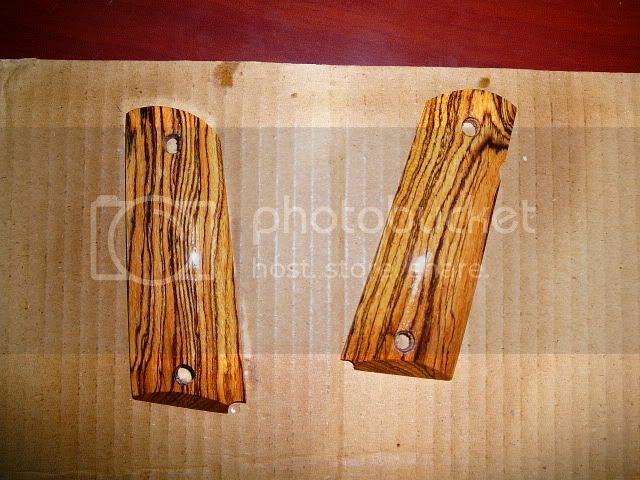 It is a very hard wood that starts out a light yellowish orange to yellowish cream color that darkens with age and use. Most if it is on the "plain looking" side with little of any interesting grain definition. You will occasionally find a piece with color gradients in it, but you have to really look. ETA: Two types of wood that you may want to take a look at would be mesquite and pecan. I would check with a boatyard. Seriously. There are some nice custom boat places in your state and you could get some interesting scraps for free. Try Constantine's and some of the other mail order woodworking places. Many sell small pieces for what would be an outrageous board foot charge but it will let you spend just a few bucks for a piece of exotic wood. Dunnage used to create forklift access between stacked crates, shipping containers, etc. is an excellent source for exotic hardwoods from around the world. Find out who has the contract to haul away leftover dunnage from you local international sea port. You might try Ebay. I did a search for "wood scraps" and got this, and several others. Smooth talkers win at singles bars and in politics...often with similar outcomes for the listener. 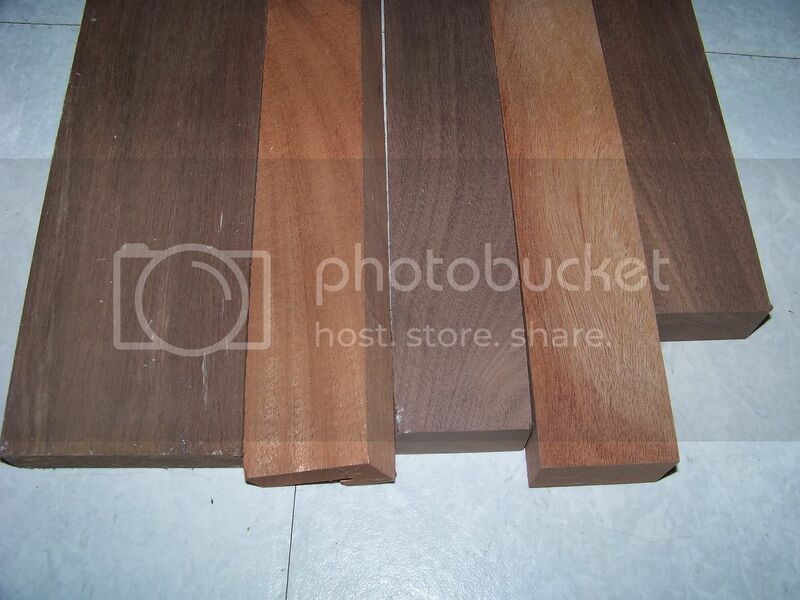 Woodworkerssource.com sells variety packs of hardwood and exotics for pretty cheap. I used to work at a place that made high end knife blocks, cutting boards and the like. I probably have a couple hundered pounds of scraps in my basement that i use for lighting my woodstove. It's all kiln dried, but i don't know what type of wood some of it is. some walnut, but most i have no idea what kind it is. some is red and some is very very dark. I'll post some pics when i get home in the morning. the thinnest of those is 2" wide, so i'd assume that would suit your needs. like I said, I have no idea what kind of wood it is, so I don't know if you's consider it exotic.